ALL-NEW ARC! ALL-NEW JUMPING-ON POINT! 'THE SEVEN BLADES OF MASTER DARQUE' begins here! Master Darque has returned! The sadistic lord of death and resurrection is once again free to inflict his will upon a wounded world... 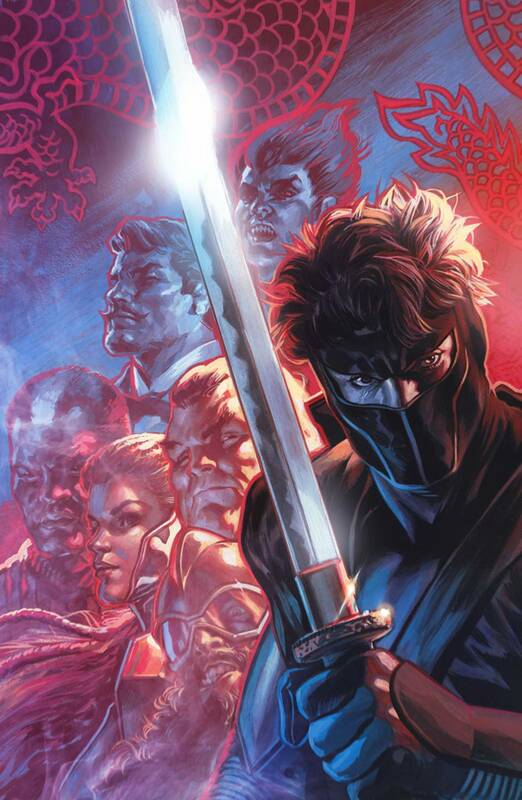 But to bring Darque down, Ninjak will have to call upon his deadly foes in the Shadow Seven? Now, as Colin King scours the globe in search of the Seven's mystic adepts, Ninjak will become the only man that can prevent a clash of dark powers with the potential to ignite Armageddon itself! Everything has led to this? Out of the ashes of BOOK OF DEATH, Ninjak and Master Darque will collide in a punishing circle of death, destruction and hellfire! Join New York Times best-selling writer Matt Kindt (DIVINITY III: STALINVERSE) and blistering artist Marc Laming (Planet Hulk) here for a steelhardened jumping-on point that will leave Valiant's seven-time Harvey Award-nominated series forever scarred! !